Waterman S. Body carried his gun dangerously low and, if necessary, he was able to draw it fast. That was a necessity for the survival of a gold digger in the hostile California desert, although it was not always enough. Waterman himself, sometimes identified as William S. Bodey, had no idea how his persistent digging would change life on the California – Nevada border. When the supply of gold in the Western part of Sierra Nevada gradually dried up, Body implemented his natural intuition, positive thinking, and faith in tired luck and went to dig for precious metals in places where no one had tried before. He went to the mountains east of Sierra Nevada, to Mono County. 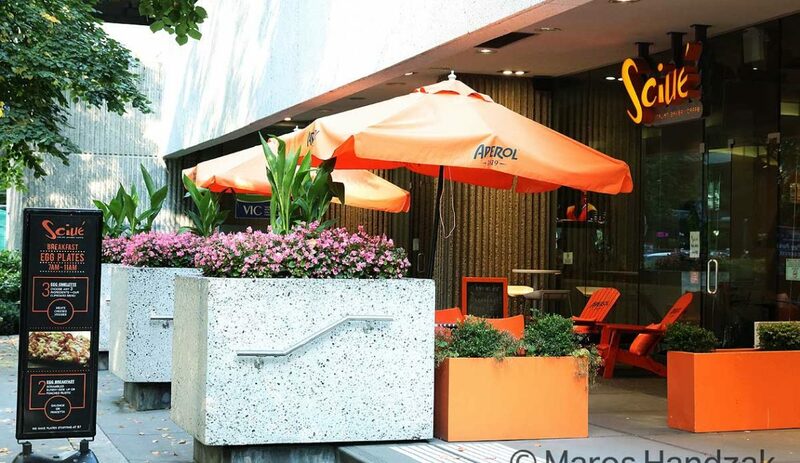 His entrepreneurial spirit and hard work paid off. In 1859, he stumbled upon a serious source of gold ore. It wasn’t just a gold source; it was literally a gold mine. Body became dazzlingly rich almost overnight. The discovery of the gold source drove away the peace and quiet from this beautiful corner of the world near Yosemite Park. As it happened in similar cases, the grand discovery started to attract other gold diggers, entrepreneurs, gamblers, and other bad guys to Mono County. With so many people arriving in the area, they slowly but surely created a small town which, at the time of its greatest boom, counted around ten thousand residents. They obviously needed to live somewhere and hide from the harsh weather of the rocky desert 1500 meters above sea level. A city of typical western log cabins grew below the gold-bearing mountain, up to two thousand buildings. They simply called it “Bodie” after Waterman S. Body. According to rumour, the difference in spelling was allegedly caused by an illiterate painter who garbled Body’s name as Bodie. The official version claims the name was changed to achieve better and more correct pronunciation. At the time of naming the town, Waterman S. Body had been six feet under for some time. A gold digger’s life was full of perils and people in this profession did not live to a very old age. And, as it happens that a crocodile hunter gets killed by a virtually harmless stingray, it also happens that a gold digger freezes in a snow storm, which is what happened to Body when he was coming back from town with supplies. Paradoxically, he got to enjoy his spoils only for a few months. He died at the end of 1859. Harsh winters are nothing exceptional around here. The saw mill in Bodie spewed wood for heating like a conveyor belt. The hastily and poorly built houses could not retain heat for a long time and they had to use a lot of wood in stoves and fireplaces to keep them warm. Many newcomer gold diggers were not adequately equipped for harsh winters. Without proper warm clothing, they succumbed to diseases or died of hypothermia. Bodie became a synonym for the daily grind in the mines. There were several mines very near the city. The most prestigious was the Standard Mine. After several changes in ownership, it survived the era of bankruptcy of other mining corporations. 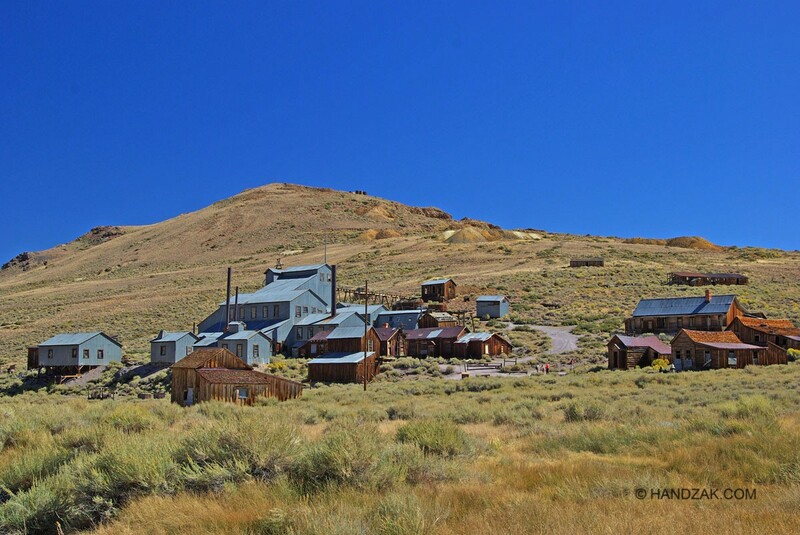 The Standard Mine used a special cyanide process of gold cleaning and extraction from an excavated ore. One mining specialist in Bodie was even trained in Germany. This company managed to outlive all others in Bodie thanks to a new invention, and they became one of the first companies to use electric power from a nearby hydroelectric power plant, which would look primitive by today’s standards. The weary gold diggers needed to rest and relax after work. 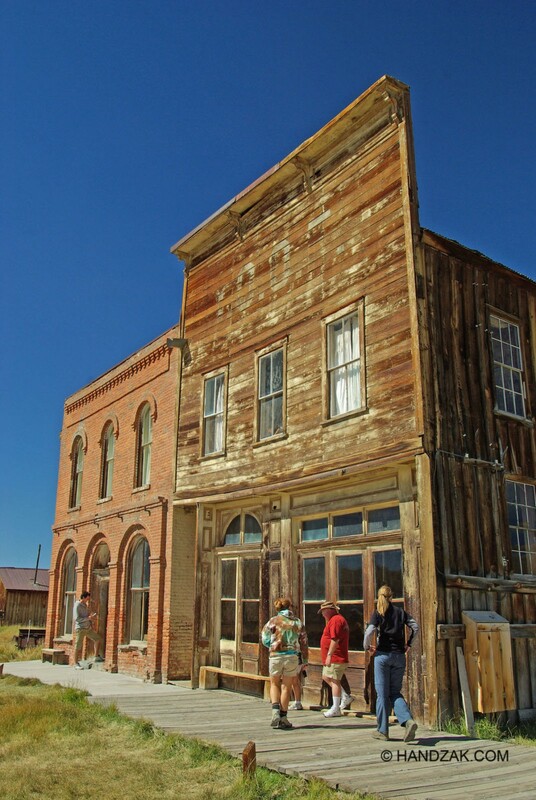 That is why over 60 saloons, gambling and dancing halls emerged in Bodie. Bodie had its own bank, church, saw mill, stores, and laundry mill. But the town did not enjoy a good reputation. Reverend F. M. Warrington described it as “a sea of sin, lashed by the tempest of lust and passion”. Attacks, shootouts, murders, robberies, and street fights were a daily occurrence here. The bells announcing the death of a man sometimes rang several times a day. 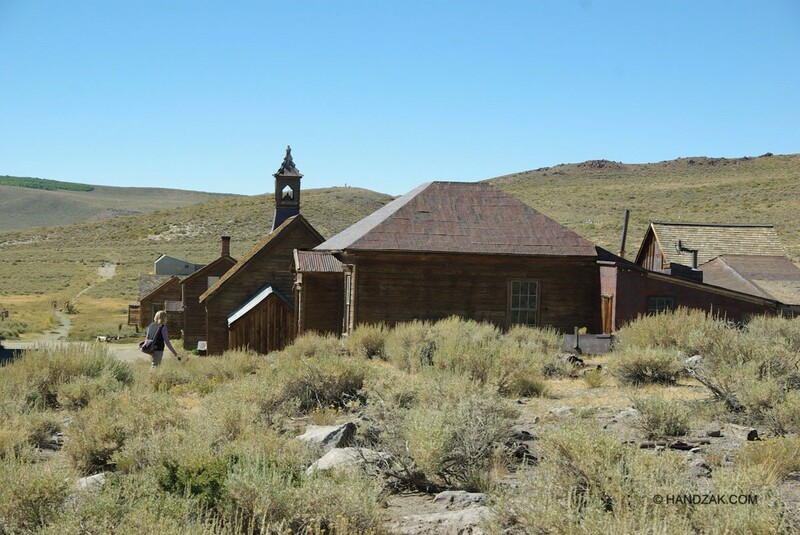 A young girl’s note that she wrote in her diary before leaving for Bodie with her parents became legendary: “Goodbye God, I’m going to Bodie.” This sentence grew popular among people and became the unwritten slogan of the town. 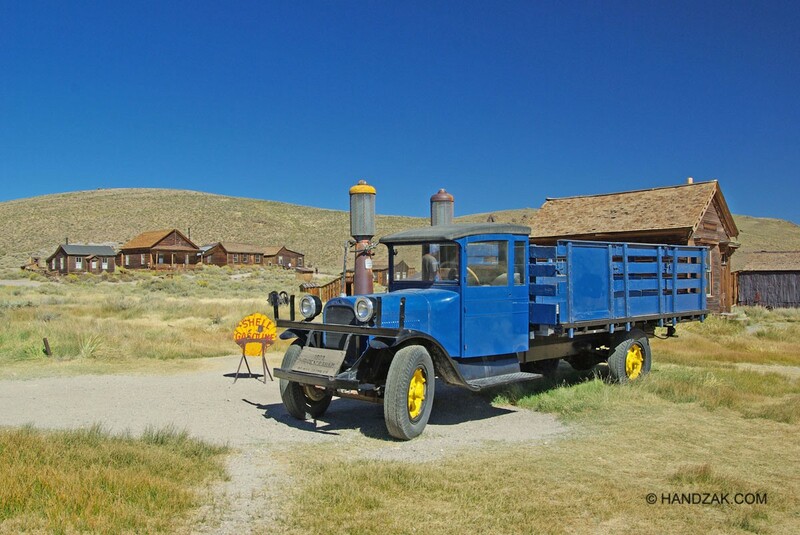 The bad boys of Bodie symbolized it as the town that attracted outlaws of all kind. “Bad Man of Bodie” became a well-known phrase. It allegedly originated from a real living man by the name of Tom Adams or Washoe Pete. A more moderate version claims that there was no bad man of Bodie and he was only a fictitious character. The area seemed to have been ridden with bad men, bad whiskey, and bad weather. With the high number of violent crimes, shootouts, and murders, Bodie obviously had to have its own cemetery. Only the esteemed members of the Bodie society found their last resting place inside the cemetery boundaries. The others had to do with a place outside, beyond the fence. Even the founder of the town, Waterman S. Body, quietly rested in the cemetery without a tombstone until recently. Only years after his death was he properly appreciated and a marble tombstone with a plaque was placed on his grave. Just like the gold diggers themselves, gold mining towns usually did not have a very long life. Bodie experienced its greatest boom between 1859 and 1879 and that is when it had its highest number of residents. However, the gold deposits slowly started to deplete, work became scarce, and people gradually left for other more lucrative sources in Aurora, Nevada, and Virginia City. 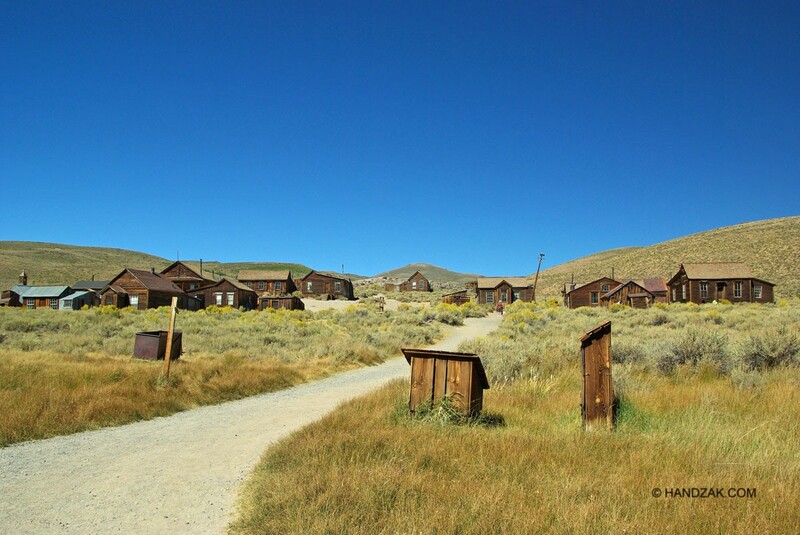 Today Bodie is a deserted American ghost town in the former Wild West. The fire in 1892 destroyed a great number of houses. What did not get destroyed in fire in 1892 was taken care of by a boy playing with matches in 1932. This second fire was the fatal blow to the gold mining heritage in Bodie. Currently the town is being preserved in the state of “arrested decay”. That means that it remains as it was after the last resident left in the 1940s. The number of buildings still standing in Bodie is only five percent of those that stood there until 1879. Today you can admire an old Methodist Church in Bodie, which is the only church in Bodie to survive to this day. The home of James Stuart Cain, one of the owners of Standard Mine, still stands. Cain and his partner originally rented a part of the gold mine from Standard Mine for a certain time. In three months, he produced gold valued at 90 thousand dollars. Later he took over the entire Standard Mine with the help of the courts. Other buildings still standing in Bodie include the school, fire station, Standard Mine buildings, the Wheaton and Hollis Hotels, the Main Street post office, Odd Fellows Lodge, Miners Union Hall, the morgue, and many others. 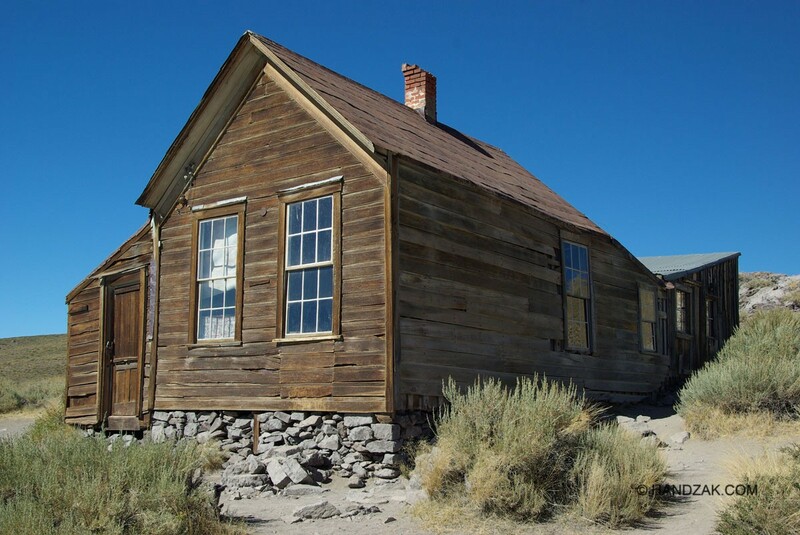 The establishment of Bodie probably had the hardest impact on the Paiute tribe. These Native Americans subsisted by hunting, fishing, gathering berries, and basket making. Thanks to the new immigrants to Bodie, the sources of food for the Paiute tribe started to diminish dramatically. The settlers cut down the trees in the surrounding forests, killed animals, and devastated the meadows by grazing cattle. The animals and berries in the woods started to become scarce. Some of the Paiute assimilated and found work in the town or near the Mono Lake in the lime kiln factory. The majority had to leave for new territories. The Paiute menu was much more diverse that one would think. They liked to dine on exotic foods such as fly larvae or strange brine shrimp from the nearby Mono Lake—the same Mono Lake that attracted the attention of world media and lead scientists on December 2, 2010 thanks to the NASA announcement of their unusual discovery. The American scientists from NASA pulled a great stunt. In some regard, the scientist Felisa Wolfe-Simon is a bit like Body the gold digger. Certainly not by carrying her guns dangerously low or drawing them fast but rather with her stunning discovery that created a splash similar to Body’s gold mine a long time ago. 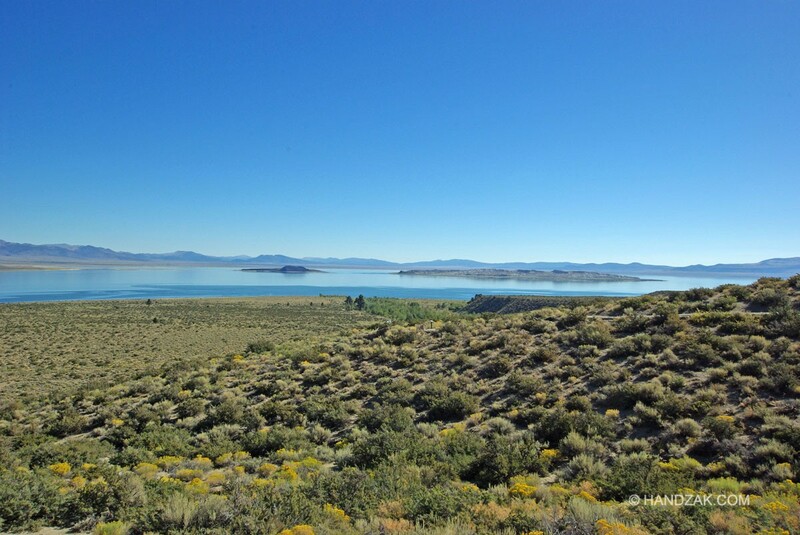 She examined the mud in Mono Lake, only several kilometers from the place where Body used to dig, and she found interesting “extraterrestrials”: GFAJ-1 bacteria, which use arsenic instead of phosphorus in their metabolism. They say this discovery has the same explosive strength as Darwin’s Theory of Evolution. Since scientists tried to find extraterrestrial civilizations based on current knowledge of life forms, they never thought of arsenic as a replacement for phosphorus in living organisms, which may have caused them to literally overlook some signs of life due to their current search methods. Thanks to the discovery in Mono Lake, this is likely to change. In addition to the already mentioned fly larvae and brine shrimp, no fish or other organisms live in the lake. In spite of that, the lake enjoys the constant company of millions of migratory birds that stop by there on their arduous way for a tasty lunch consisting of the above mentioned delicacies. Mono Lake is one of the oldest lakes in the world. It is about 700 thousand years old. It spans across 155 square kilometers, 1950 meters above the sea level. It attracts tourists and lead scientists with its travertine formations emerging from the water surface. They formed below the water surface a long time ago when the calcium from underground springs came in contact with carbonates in the water. Originally, the travertine formations were not visible from the outside. However, the natural evaporation, as well as drawing the lake water for the distant city of Los Angeles, caused its surface to shrink to a fifth of its original area. And that is not everything—today the water in the lake is three times as salty as sea water! At first sight, Mono Lake makes you feel like you are on a distant planet. You may even think that this is the way afterlife looks in hell. Only the devils with tails and pitchforks in their paws are missing. The desolate lake area with Sierra Nevada in the background offers a fascinating experience. 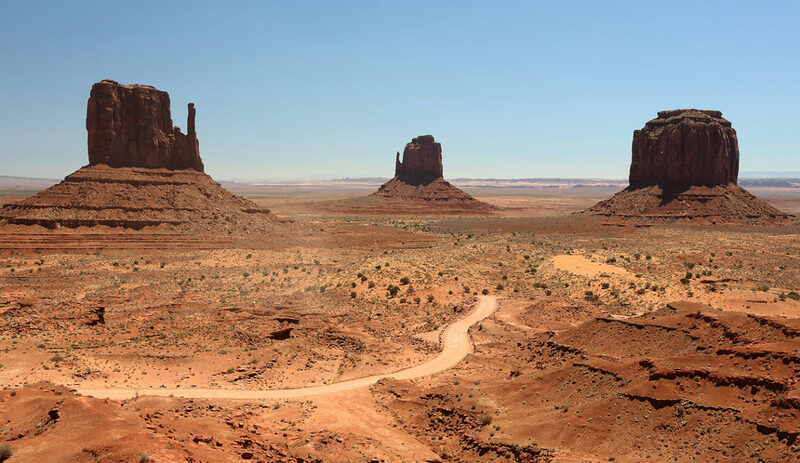 That is why a visitor centre was built there with a remarkable exhibition of fauna and flora from the area, as well as Paiute tribe history, and the life of settlers from the past centuries. In 1984, the U.S. Congress designated Mono Lake and the surrounding area, including the Ghost Town of Bodie, as a national historic landmark. It was an attempt to save the unique geological, scenic, and cultural heritage of the area. The protectors of Bodie could breathe a sigh of relief. Their efforts to prevent a Canadian company from reopening the gold mine above the perished town were crowned with success. 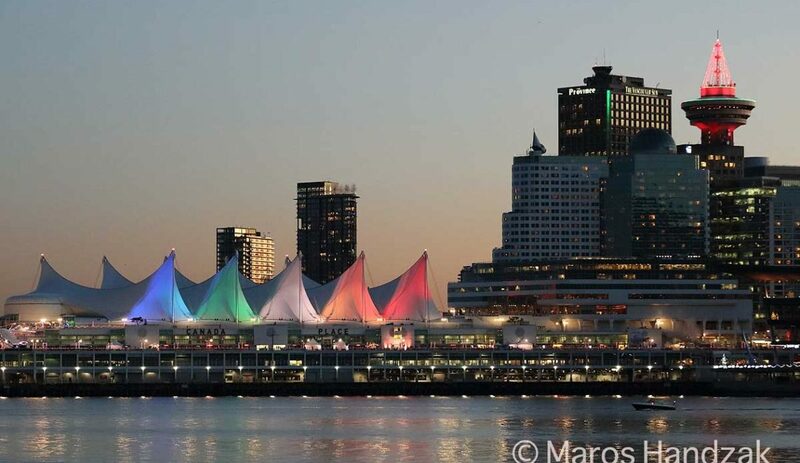 Paradoxically, the Canadian company went bankrupt in the meantime. The bad boys of Bodie are all in their graves, or “six feet under”. 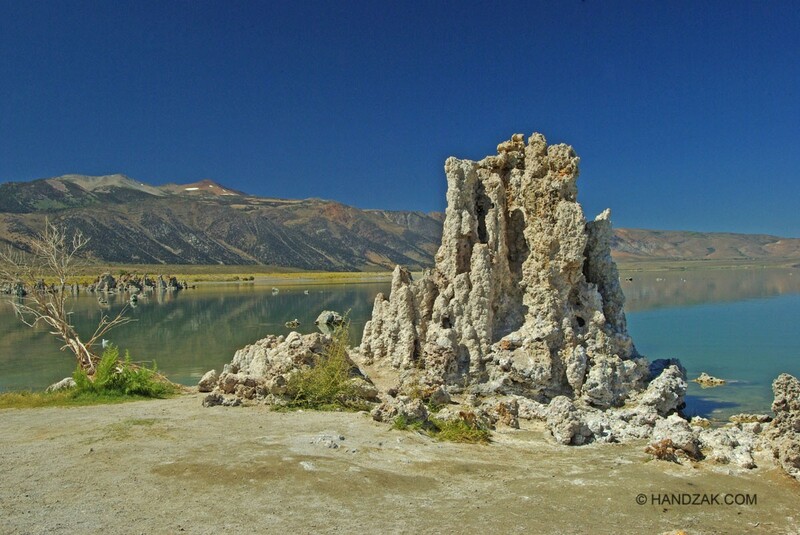 Will Mono Lake become a desolate “ghost lake” similarly to Bodie? Will the “extraterrestrial” GFAJ-1 bacteria, just like the bad boys of Bodie, find themselves six feet under the dirt or alkaline water, or will they offer an interesting sequel somewhere beyond the boundaries of our planet in a distant universe? If you are interested in publishing this or any other story from HANDZAK.COM, please contact us. German and Slovak versions are also available. For other languages, please contact Strategic Languages.